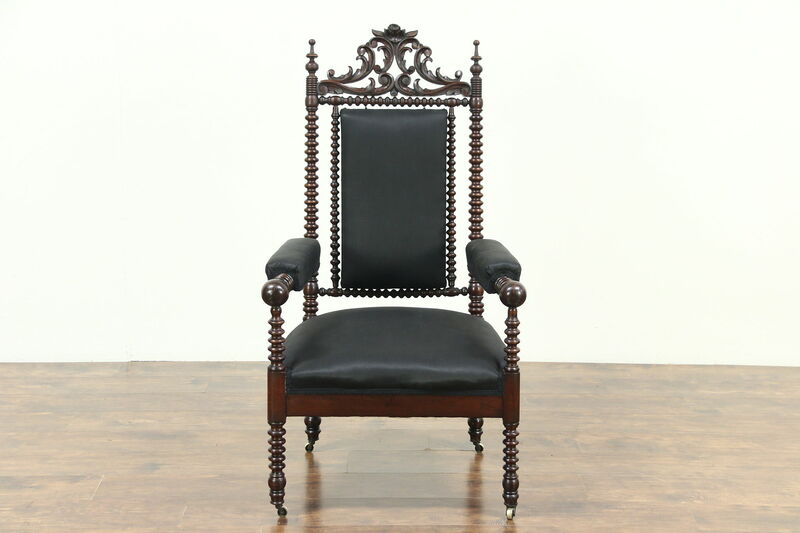 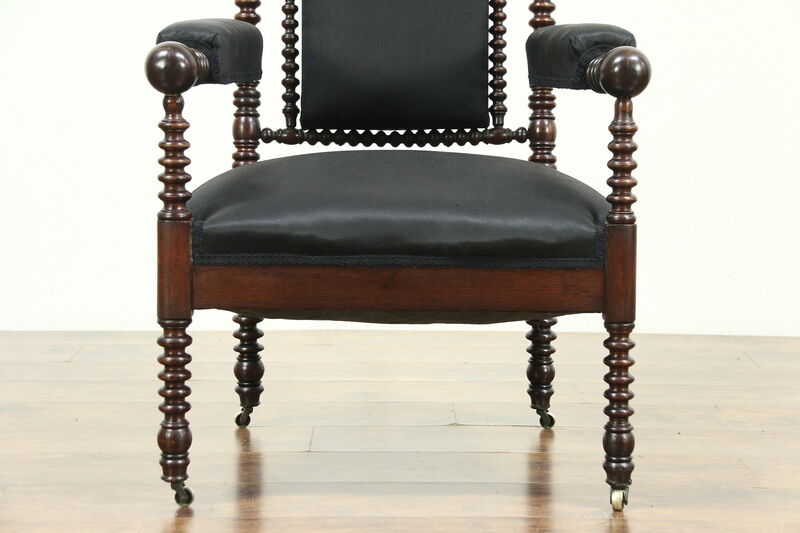 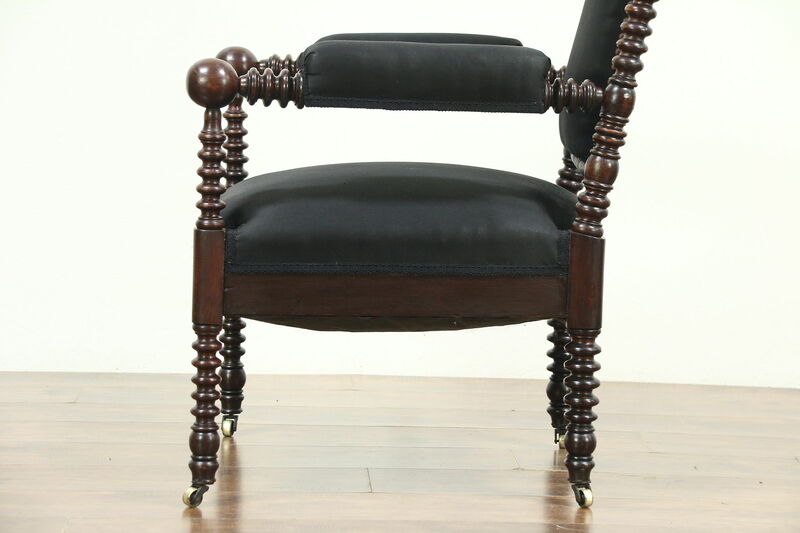 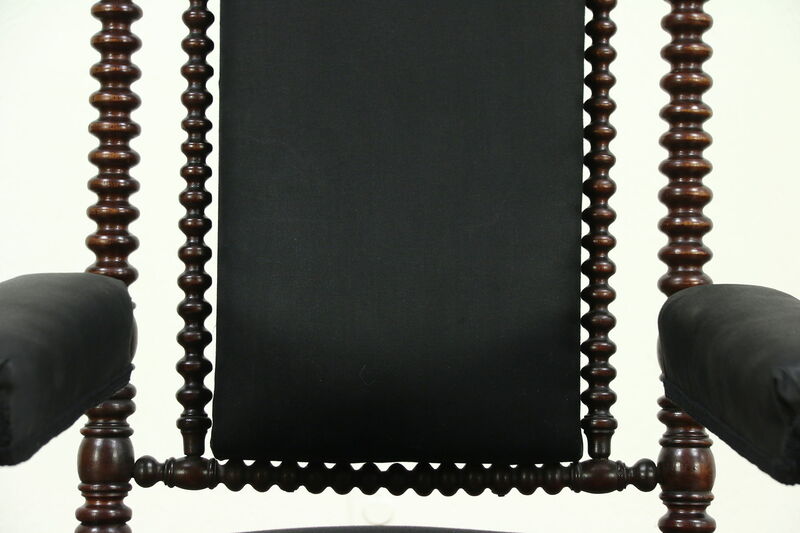 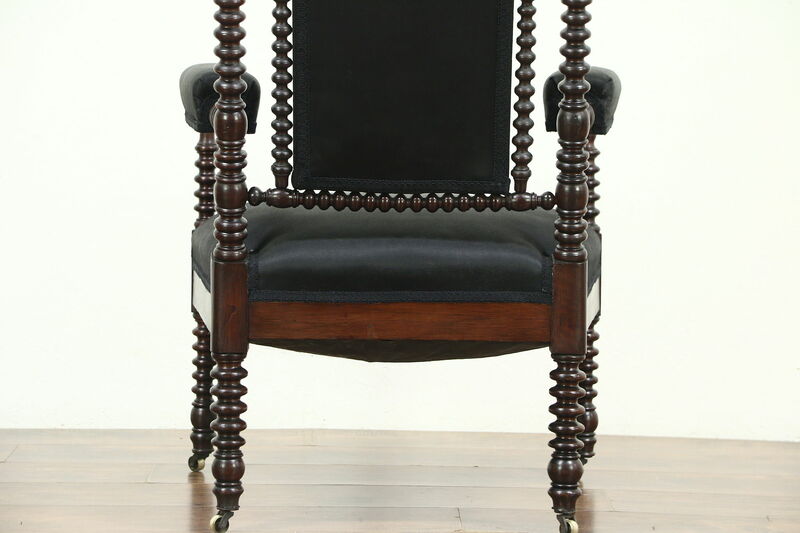 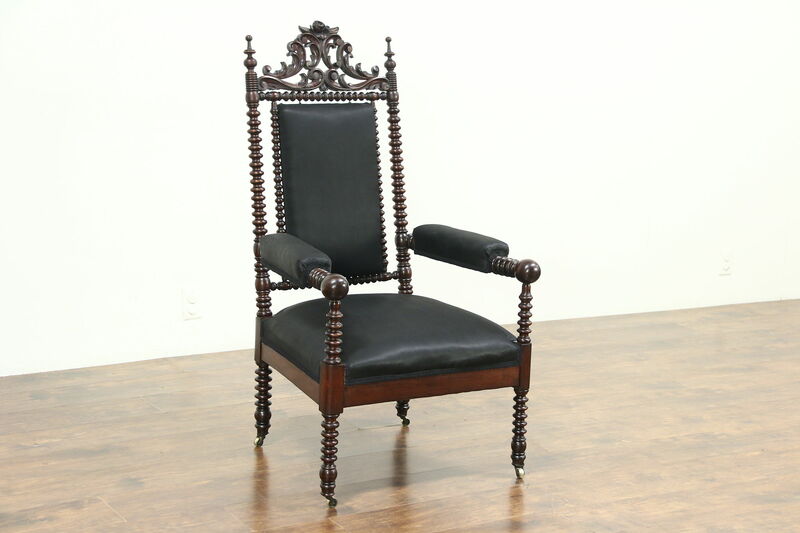 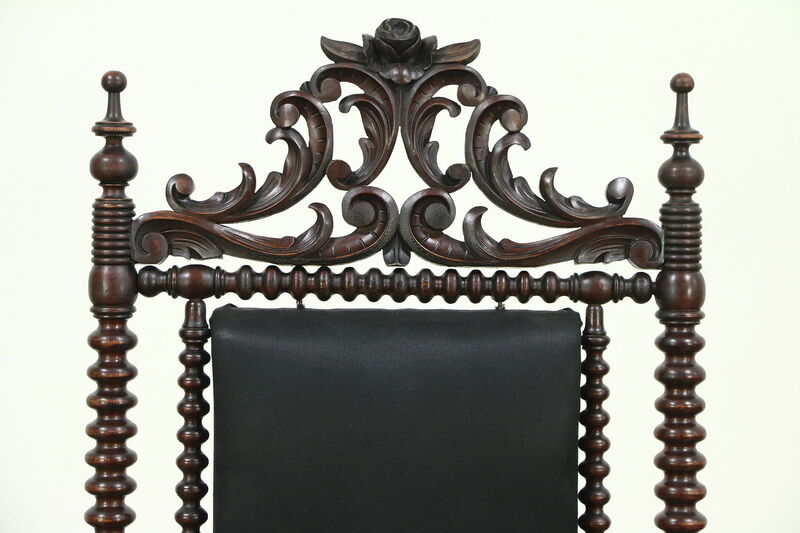 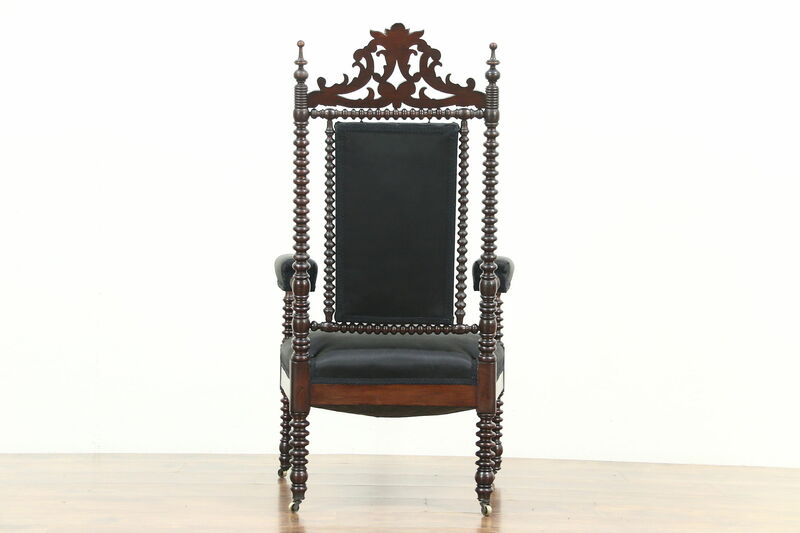 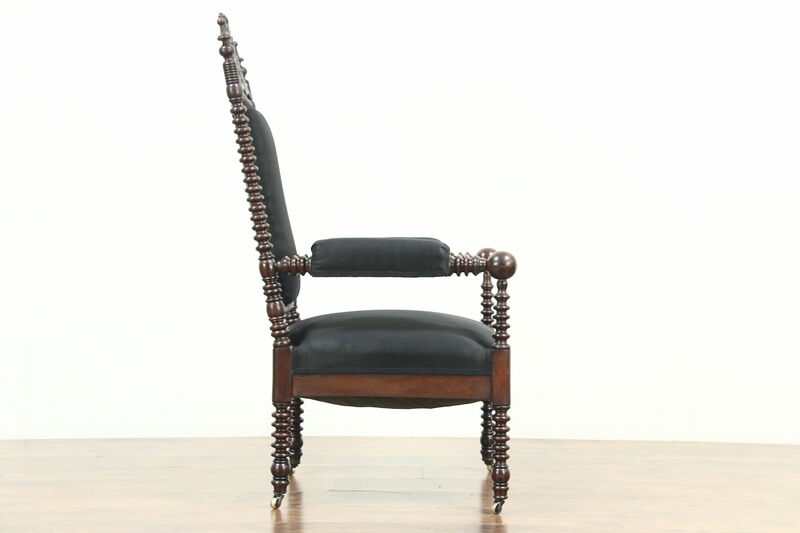 An 1860 era Victorian spool turned chair shows Gothic Revival influence, hand carved of solid walnut with a rose crest. 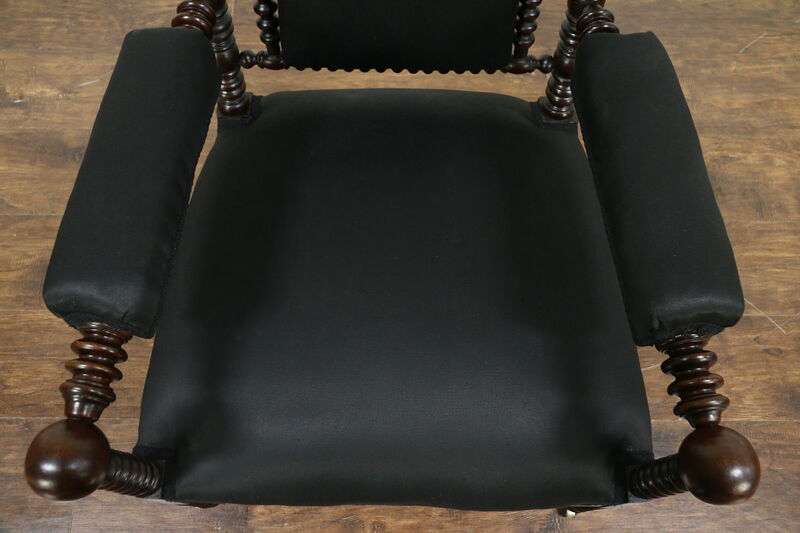 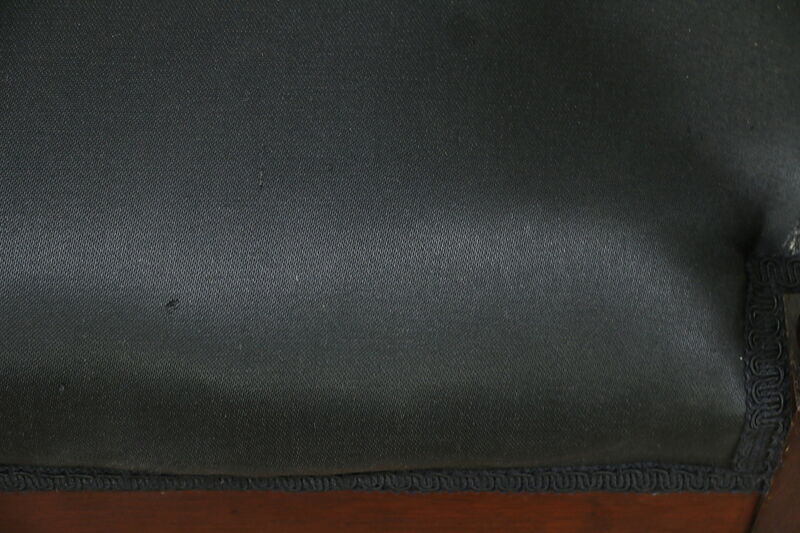 Black upholstery is recent. 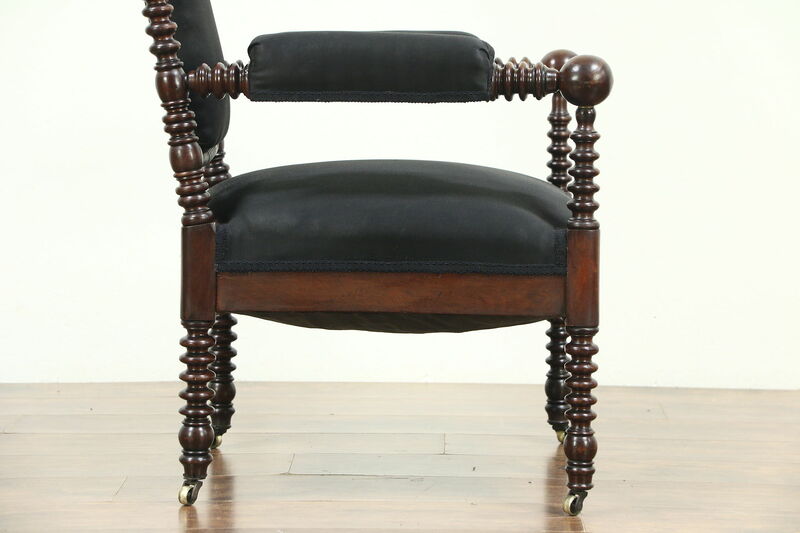 The old finish is very well preserved and has been cleaned and revarnished on this American made antique furniture. 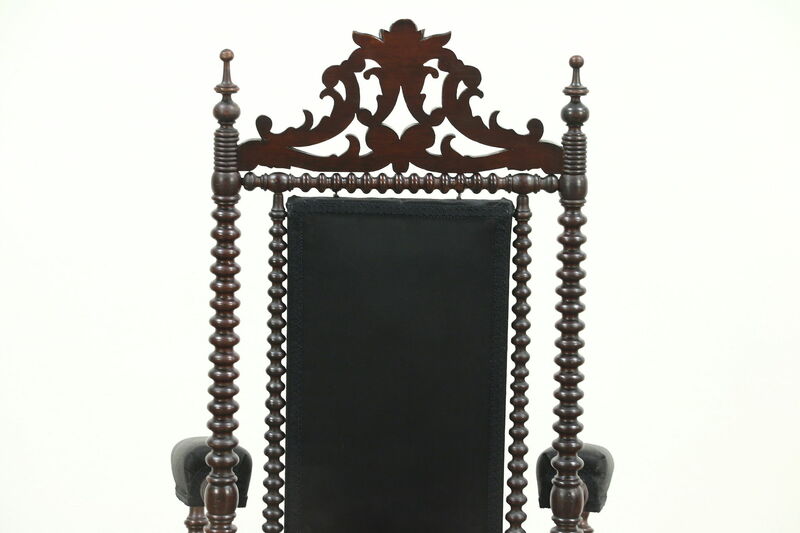 Reglued to serve another generation, the frame is sturdy. 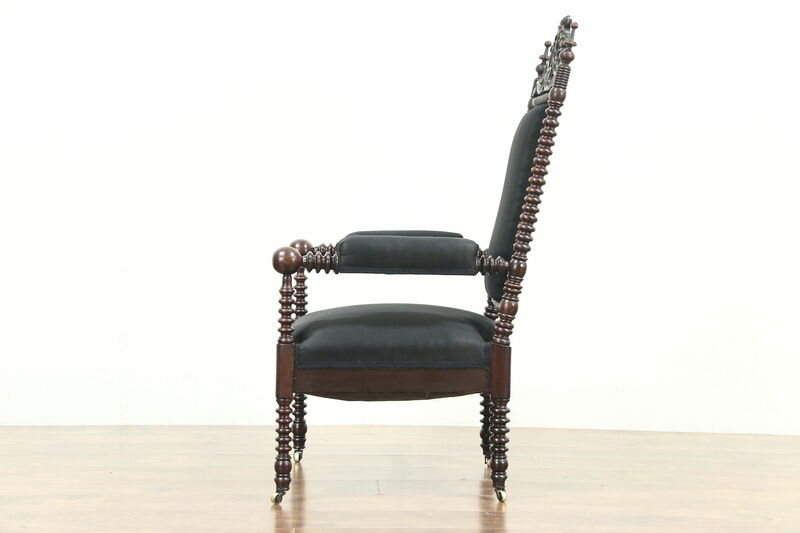 Brass wheels are original, springs are still supportive. 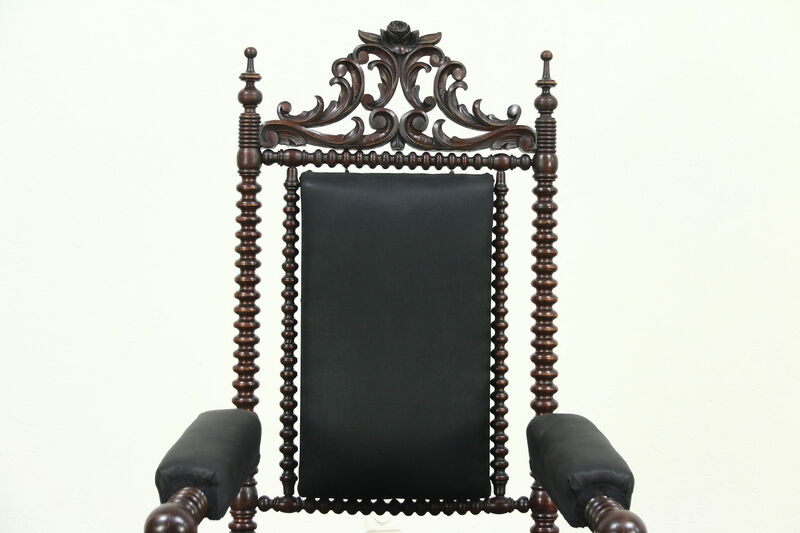 Measurements are 26" wide, 28" deep and 47" tall, the seat is 21" deep and 16" high.